Interestingly, though, it is a Christian morality tale.1 Paddington’s behaviour neutralizes violence. In the face of his goodness, and emolliated by his marmalade sandwiches, the hard men at the prison uncurl their fists and bake strawberry panna cotta with pomegranate glaze instead. His vulnerability is irresistible. He turns selfishness into altruism. ‘Nuckles’ (sic), (Brendan Gleeson) whose motto has always been that he doesn’t do nuffin’ for no one for nuffin’, jeopardises his own liberty to liberate Paddington – and wins his own perpetual freedom by doing so. There’s even a sort of resurrection – in which Paddington, trapped in a watery grave, is released. And as he is released, more of his redemptive power is unleashed too. This all sounds emetically Polly-Anna-ish. And so it would be if the main actor had been human rather than a bear. It’s crucial to the story – and to the acclaim that it has had – that Paddington comes from outside, and, though living amongst the people he transforms, is different from them. Paddington just happens to come from Darkest Peru rather than the Kingdom of Heaven, and to have fur, claws, and a button nose rather than the undoubted advantage of divine as well as human nature. The baddies in the movie are Evangelical stereotypes. There’s Phoenix Buchanan (Hugh Grant) – an English version of the US televangelist: vain, with immaculate bridge-work and a huge smile, strutting in an expensive suit. 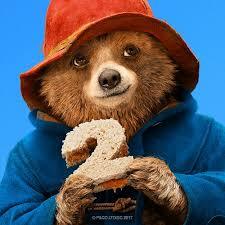 And the xenophobic neighbourhood watchman, hating Paddington because of his otherness. The philosophy of the unregenerate Nuckles is the atomistic self-determinism of the Bible Belt which has been unblushingly translated into neo-liberalism. Paddington is an unabashed communitarian. The NRA and its churches wouldn’t like that. This is a warm, nice movie. People like warm, nice movies. And so we shouldn’t build too vaulting a thesis on its rapturous reception. But perhaps it’s not too fanciful to suggest that its success shows that the right-thinking world won’t necessarily conflate Christianity and Evangelicalism. No doubt unwittingly on the part of the film makers. Yes: of course there are kind, humble, generous hospitable evangelicals, appalled at what has happened. Lots of them But 81% is quite a big proportion. I must admit I had stopped visiting this site for quite a whilst and am sorely disappointed by what I return to find. I thought this was a place for serious thought and discussions about ethics. Instead, I find a shallow attempt at a movie review driven more by personal bias and imperviousness to ideological diversity than by any ethical arguments. This reductio ad absurdum of identity politics is more fitting of tv talking head on a poorly researched ‘news’ show or a tumblr rant than a site dedicated to the discussion of ethics and the promotion of intelligent debate about it. I am not white, or religious, I am not from the Bible Belt neither did I vote for Trump, being an African and not an American citizen. Sadly I have to bring these things up because whilst they should not matter a damn in a discussion of ideas, your article makes it clear you dismiss people based on identity and were I a white evangelical, you would prejudge me and not really judge any ideas I espoused on their merits. Projecting negative stereotypes and making ethical judgements without evidence based on race, gender or religion is no less bad and no less stupid when the people you look down on are white, evangelical men. Who is the right thinking world? What makes them right thinking the others wrong thinking? Has that been settled conclusively with a clear, proven argument? Isn’t rightness normative and subjective for the most part? Paddington’s communitarianism sounds like consequentialist utilitarianism which is by no means the only ethical system one can live by and which faces the threat of becoming a dangerously interventionist afront to liberty, whilst ultimately still relying on subjective judgements of utility and what is best for the community that the ‘wise’ would impose on others. “We’re reminded in every frame that 81% of white evangelicals voted for Trump – thereby sacrificing any authority that they might have had to give the world ethical advice. (By their votes have we known them).” As an African, I know full well what you guys mean when you say there is a right and wrong person to vote for in a democracy. You mean it is a democracy if we all think as you want us to and we are fools or worse, evil if we have ideological and other differences that make us vote for whoever we would prefer above the choice you the ‘wise’ believe is best for all of us. It is funny to see you doing it to your own countrymen for once though, not to us ‘backward’ people. And yet, you do not win the battle of ideas, you do not make a clear argument why you are more ethical, why Trump is so unethical and hardest of all, why it is just to discount and disparage people for a democratic choice if you also argue that democracy is in and of itself virtuous. There is a logical inconsistency there and a surprising inability to realise you advocate tyranny under your ideological compatriots as more ethical than the freedom for a majority to choose to do something you do not agree with, all without showing that your position that you would impose on others is in any way superior or that it’s alleged morality would be enough to justify unethical imposition. VoiceOfReason: Many thanks for your comments. You are quite right to observe that I make assertions about normative issues without giving arguments to back up those assertions. I happen to think, for instance, that xenophobia and racism are wrong and that communitarianism is preferable to atomism. Justification of those positions requires a great deal of philosophical work. In relation to communitarianism I have tried to do that work in several books and many articles, and far better thinkers than I am have done so far more thoroughly and far more convincingly. But this post was nothing whatever to do with the reasons for my positions. No blog post could satisfactorily set out those reasons. Thus I entirely agree with you when you say: ‘…you do not win the battle of ideas, you do not make a clear argument why you are more ethical…’ I wasn’t trying to do anything of the kind. Nor was the post, as you suggest it was, an ‘…attempt at a movie review’. The post simply sought to make one tentative suggestion and to draw attention to one fact. (a) The suggestion: Part of the appeal of the movie to predominantly secular audiences is the appeal of the Christian mythos as that mythos is articulated by historical Christianity. (b) The fact: one of the main purportedly Christian constituencies would frown at the movie. I think that (a) and (b) are at least interesting.